Sadly, each day someone loses a family member or experiences property loss because of malfunctioning smoke detector. A smoke detector can save lives and protect properties every day. Don’t lose a loved one or your home to a fire because you didn’t have a smoke detector. Be prepared. Hire an electrician at McCall Enterprises to install a hard-wired smoke detector with battery backup, or perform routine smoke detector maintenance. One smoke detector in your home is not enough to protect your family from a fire. If you are in Atlanta, per the latest code a smoke detector should be installed in each bedroom, outside each bedroom within (10’) ten feet and interlocked with each other (if possible) so that if one sounds off then all will sound off. Choose us when you want to get your smoke detector hard wired. You’ll benefit by having your smoke detector hard-wired by a trained electrician. You’ll never have to worry about your smoke detectors not functioning because of faulty wiring. Plus, all of our smoke detectors are hardwired and supported by a battery backup. If the power goes out on your hardwired smoke detectors, the battery power will still continue to protect your home and family. Check smoke detector batteries annually. In the meantime, contact us to perform routine maintenance on your smoke detectors. Is your smoke detector hard wired? If so, contact us to perform routine wire maintenance. 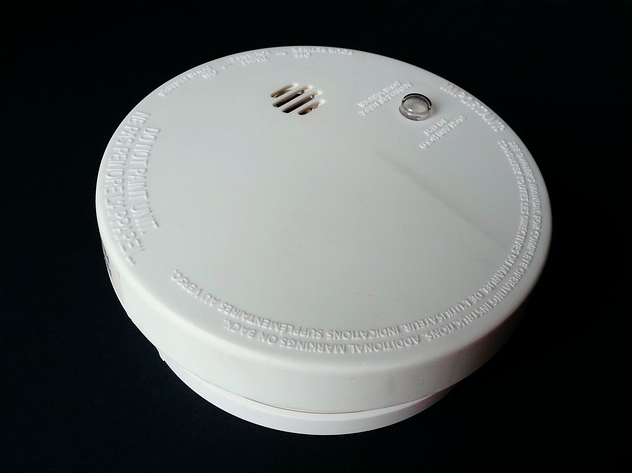 Beeping sounds from a smoke detector is a sign that the battery needs replacing. Contact us or to get your smoke detector hardwired, replaced or smoke detector troubleshooting.